My daughter-in-law is an exceptional woman, who enjoys supporting people, often sacrificially. She asked me to make a birthday cake for a friend of hers, who was hospitalized at the time. Her favorite collectible character was Betty Boop. It’s a small topsy turvy cake being viewed from above. Betty Boop is made from fondant. 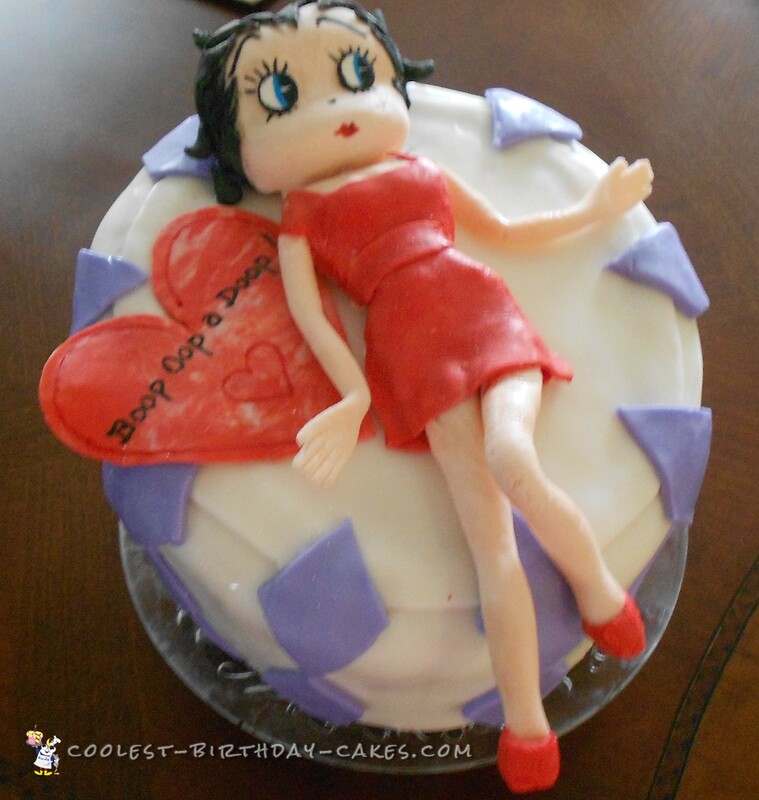 Her friend lost her battle with cancer several months after her hospital stay and I made a cake for her wake that was also Betty Boop inspired. I enjoy creating cakes and implementing my ideas, but it so much more rewarding to be able to use my talents to bless someone in need. It makes the whole experience worth the effort and I get the blessing in return, of feeling my efforts are purposeful. It’s become more than a personal hobby for my family’s enjoyment, but something that can bring joy, often to an otherwise unfortunate circumstance.